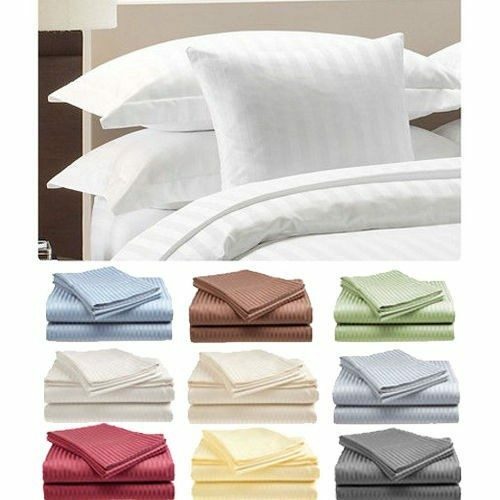 Hotel life Deluxe 100% Cotton Sateen Sheet Sets Just $14.99 PLUS FREE Shipping! You are here: Home / Great Deals / Hotel life Deluxe 100% Cotton Sateen Sheet Sets Just $14.99 PLUS FREE Shipping! This is a great deal on these Hotel Life Deluxe 100% Cotton Sateen Sheet Sets twin sets for just $14.99 with FREE shipping! Queen – $19.99 and King $21.99 PLUS FREE shipping!